Happy Tuesday all! Hope you’re all having a good week so far! I want to start by saying a big thank you to Love by Taryn for my gorgeous new Angel wing cuff bracelet. 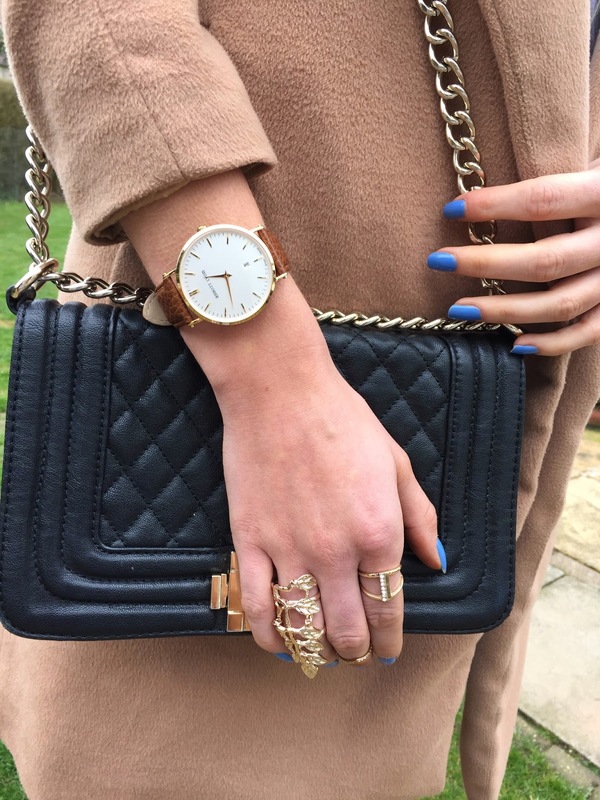 We love it, it matches up nicely with so many different outfits and is a simple, gold piece. Make sure you check them out at lovebytaryn.com. Also as you all know Sophie and I are obsessed with ripped jeans and these Fashion Eyes light denim ones are a total must have! The more rips the better, we both fight to wear them, as us sisters do. I have decided to keep this one casual with my white Adidas Tee, I absolutely love it. Great to wear as a big t shirt or can be worn how I have done so in this post by folding it up to make it into a crop. Today’s post is something a little different and all about our beautiful new watch courtesy of Abbott Lyon. When My Sisters Wardrobe first came across Abbott Lyon we instantly fell in love. They are a unique watch brand that do so many different fabulous watches in all different colours and strap designs. We love the simple elegant designs of these watches, they could not be more us! They are so classic, stylish and generally lovely. The quality of them is amazing and personally well worth the money. We haven't stopped wearing this, it matches everything. There is a whole various range of watches available so if you haven’t checked these out already you need to. Once again a massive thank you to Abbott Lyon, we are so happy with our new watch! I am so glad its Friday! It’s been a manic week for us. I’m looking forward to some chill time. I am excited about today’s post as it’s the first time I have done a trousers co-ord and also I am featuring almost all Missguided clothing. I can’t deny I love Missguided a lot for its amazing range of on trend clothing and as soon as I found this in the new in section I had to purchase it. It’s a very unique piece with this little zip up crop top and the zip up the front of the trousers, I love it! The design used is also rather unusual but I love the Monochrome look and these pointed boots also matched it up together perfectly. It was a lovely sunny day when I took these but as the weather is still a bit on the chilly side I added in this Pretty Little thing coat. I have already worn this outfit on an evening out and during the day so it’s the perfect combo, also great for indivial wear too. I hope you like it. Hope everyone is having an amazing week! Not long till the weekend, woo! Today's just a quick post as its another manic week for us. I don't think I can explain how much I love my new gold foil shorts. Thank you so much South Beach. They're perfect for SS15 and will look amazing on the beach. But as it's still a little chilly and we're in England I've dressed right and not in my bikini. I've worn my plain cream shirt and black duster jacket which are great with any outfit! I'm wearing my Forever21 heels and they're just amazing, so comfortable and such a bargain too. Happy Monday! Hope you’re all well.